Copying company contacts from one project to another. 1: Visit your company page by clicking on your company in the main dashboard. 2: Go to the "All Contacts" page by clicking on the tab in the side menu. 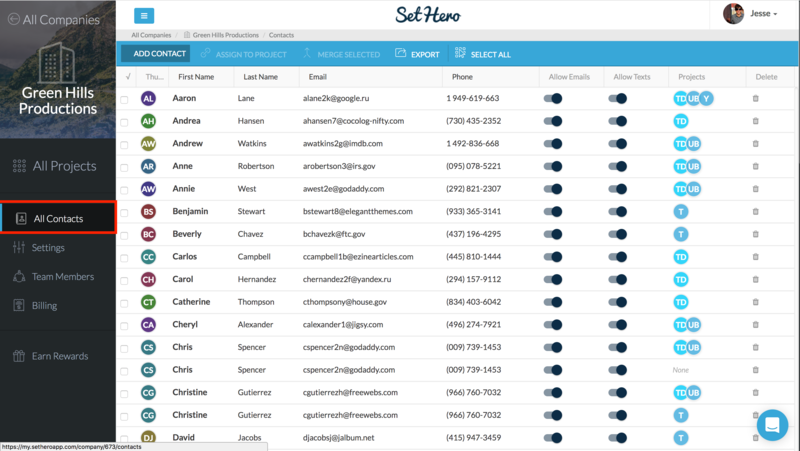 3: Check the boxes next to the names of the contacts you want to add to your new project. 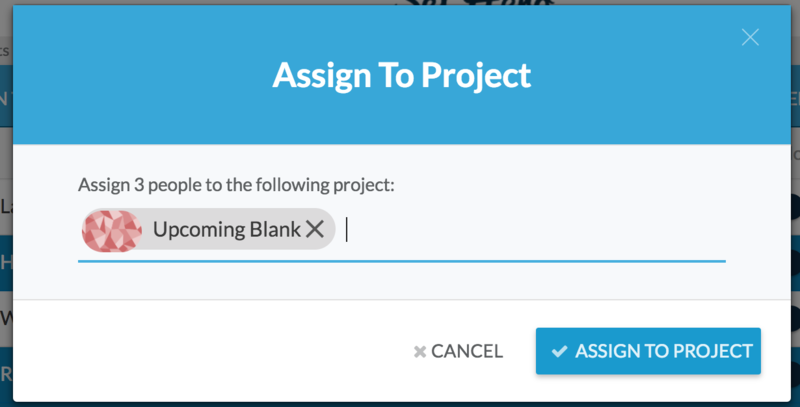 4: Click the "Assign to Project" button in the blue header bar at the top of the page. 5: In the popup that opens, type in the name of your new project, select it from the dropdown, and then hit the "Assign to Project" button. Now when you go into your new project and view the people tab, you should see the people you selected are now added to the project. From here you can assign people to cast / crew positions.